Pondering why the electronic gift card, which is newer than you think, took over the retail industry so quickly. Who had it first, anyway? The amount that U.S. adults spent on gift cards in 2016, according to the research firm Packaged Facts. The firm notes that while $28 billion of the reported total was spent on gift cards they gave to others, another $11 billion was spent on themselves, while $7 billion came from their employers. For all the advantages of a modern gift card, odds are you’re not going to stick one on a fridge. The fridge was often the domain of the gift certificate, the paper coupon that was worth its weight in cash at one specific store. It was a phenomenon that gained steam over time. 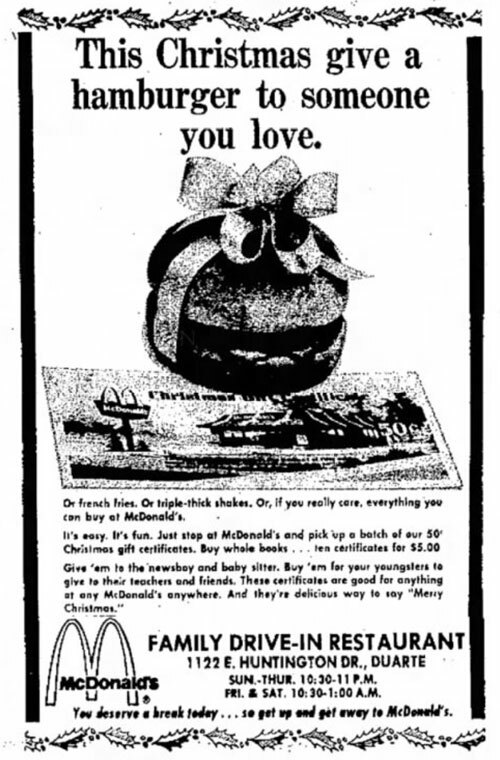 And while McDonald’s wasn’t first to the trend of single-brand funny money, which dates back hundreds, if not thousands, of years, the company’s use of prepaid gift certificates helped to set a broader stage for the retail industry as a whole. These sheets of paper, treated effectively like coupons or cash based on the context, were an important way of locking in a piece of future business, though retailers were quick to admit they had their faults. “Given the choice of selling a $25 gift certificate or a sweater, of course we'd rather sell the sweater,” a Fifth Avenue retailer said of the gift certificate in a 1974 New York Times article. And as Xerox machines and printers became more common, they became particularly susceptible to fraud in a way that would be far more difficult with cash. These new mall gift certificates are wonderful, because they're honored at virtually any store in a mall, as well as any store in other malls handled by the same management company. This is a great consumer benefit, and a great criminal benefit. A criminal will go to a mall in Miami, buy a gift certificate, make a hundred copies, and spend that same gift certificate in New York, Los Angeles, Atlanta, and fifty other malls around the country. What a terrific way to travel during the holidays! During the Christmas rush period, harried and inexperienced sales clerks haven't a prayer. So you take your $200 gift certificate to the Gap, buy some $50 jeans, and get the $150 change in cash. You go to the frame shop, buy a $28 frame, get the change in cash. One of the things criminals love about gift certificates is they're as good as cash. Most stores are happy to give cash when making change after a purchase. And since many companies reconcile their gift certificates only on a sixty-to-ninety-day cycle, criminals have plenty of time to complete their holiday shopping. Certainly, gift certificates had their value, but the pitfalls were, to put it lightly, always there. It made sense that someone would try to come up with a strategy that helped to mitigate these weaknesses. — Actor and musician Corey Feldman, reflecting on his first professional acting experience as a young child, a commercial for McDonald’s in which he helped promote the company’s gift certificates. Feldman, then just 3, was so effective at selling the public on the idea of buying the 50-cent gift certificates for loved ones that the ad played yearly for eight years and won a Clio award. Feldman noted of the shoot that he was meeting Santa Claus at the time even though it was the middle of the summer. Here’s the thing about claiming someone was first to a trend. Often, there’s so much information out there that it can be hard to suss out the exact details of who did what at what time. The thing is, once you get below a certain level of prominence, it becomes less and less obvious who did what. And most people don’t care enough to figure out who actually was first. See, they might hop on Wikipedia for purposes of answering a question they’re curious about, but often they’ll fail to actually follow up beyond that. And sometimes, as with the case of the gift card, that might lead to the wrong answer. Before this week, Wikipedia said outwardly that the first electronic gift card was released by Blockbuster in 1994. (I edited it, of course.) But digging in deeper tells a different story—one that definitely portrays Blockbuster as early to the game, but not first. Additionally, some historic context is necessary here. To preface, you could make the case that telephone cards, which worked functionally similar to modern-day gift cards and had been on the market for roughly two decades by the time of the creation of the electronic gift card, had many of the elements of the cards we used today. But in a retail context, it wasn’t until 1994 when Neiman Marcus put all these disparate parts together. In November of that year, the retailer first announced its NM Express card. It appears to be, but it certainly struggled at the “immensely popular gift item” part of the equation. The company is said to have promoted the card sparingly in stores, per a 2009 article from the former Slate offshoot The Big Money, whose informational riches can only be viewed from the source code of this stored version on the Internet Archive. 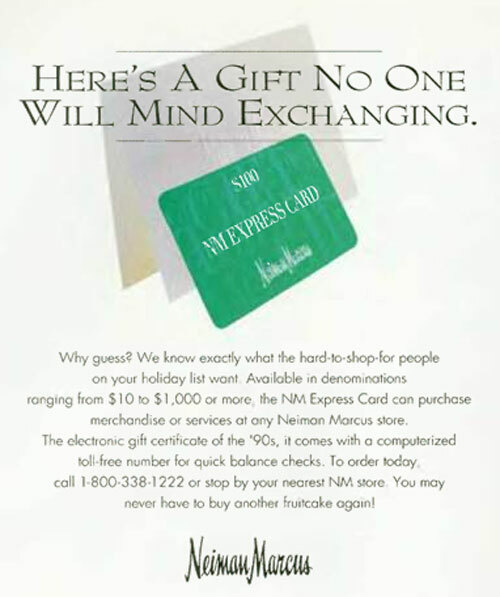 Based on my own research, Neiman Marcus only promoted NM Express once, in a 1994 ad in the New Yorker, shown above. While Blockbuster Entertainment wasn’t first to this trend, there are strong indicators that they were both second and far more successful than their department-store predecessor. The company first publicly announced its reloadable gift cards in a January 1996 press release that revealed it had tested the gift card concept the year prior in a handful of regions. The company teamed with its financial processor, CES/NaBANCO, to create the cards, which it then pushed out to 3,900 stores nationwide. 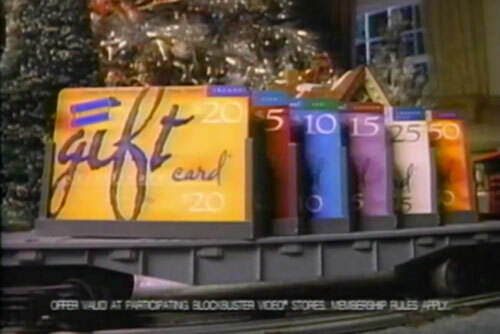 By late 1997, the company was promoting the gift cards on television. And for the next two decades, this little idea became a juggernaut that reshaped the way we buy things—outlasting even Blockbuster Video. People prefer gift cards over, uh, actual gifts. The National Retail Federation found that the most popular gift category during the recent 2017 holiday season was gift cards and certificates, something 61 percent of consumers said they wanted. It is, in fact, possible to sell a gift card for a better option. Lifehacker has a list of recommendations on this front, including the use of the gift card exchange Card Cash, which allows you to sell your lame gift card for a slightly better one. There is lots of fine print. The website Bankrate.com has been keeping an eye on the gift card market for years, and notes that not all cards are created equal. Some can be redeemed if lost; others cannot. Some companies add hidden fees; others don’t. And there are limits to what you can put on different kinds of cards. They’re easy to buy, but know what you’re getting into. Fraud schemes are prevalent. At the same time gift cards have helped boost the sophistication of retail payment programs, they’ve also drawn the interest of increasingly sophisticated criminals, some of whom have successfully convinced people that they can pay a costly tax bill with iTunes gift cards. Obviously. They can be tampered with. Security reporter Brian Krebs noted last year that gift cards sold at a Walmart location in Colorado showed signs of tampering, presumably by someone who wrote down the numbers on the back and is keeping an eye on the balance. The amount of money on gift cards that went unspent in 2015, according to research from CEB TowerGroup. A report from Barron’s noted that the number was actually down significantly from a few years prior, after a 2009 law led to federal rules that limited both fees and expiration dates on gift cards. Still though, a billion a year is a lot of money to throw away. The gift card industry, over time, has become a hugely profitable industry, as nearly every big retailer has not only taken on an increasingly sophisticated approach to gift cards—whether in physical, mobile, or digital form—but consumers have increasingly taken the bait as well. It makes sense, then, that this week, one of the largest gift card technology firms is striking up some investor interest this week. 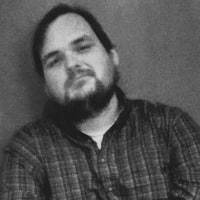 Axios reported on Tuesday that the company Blackhawk Network, best known for managing all those in-store gift card displays as well as running the site GiftCards.com, was being bought out by Silver Lake, a private equity firm for $3.5 billion. Blackhawk, which initially was a subsidiary of the grocery chain Safeway, had some ups and downs over the years, especially related to security issues that have become a primary focus of the industry. But nonetheless, they scored a big premium from this buyout, with The Motley Fool pointing out that Silver Lake and the investment fund P2 Capital Partners are paying a 24 percent premium on the current stock price. 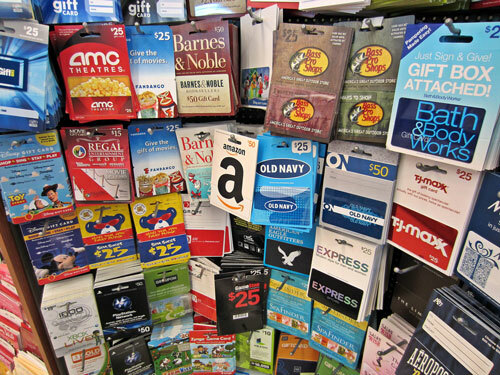 In the end, gift cards were a replacement for a very insecure system, one with a lot of weaknesses. And it shouldn’t be lost that the gift card system—which has had to adapt to the internet and the rise of mobile devices—has plenty of weaknesses of its own. Consumers love them, but should they?